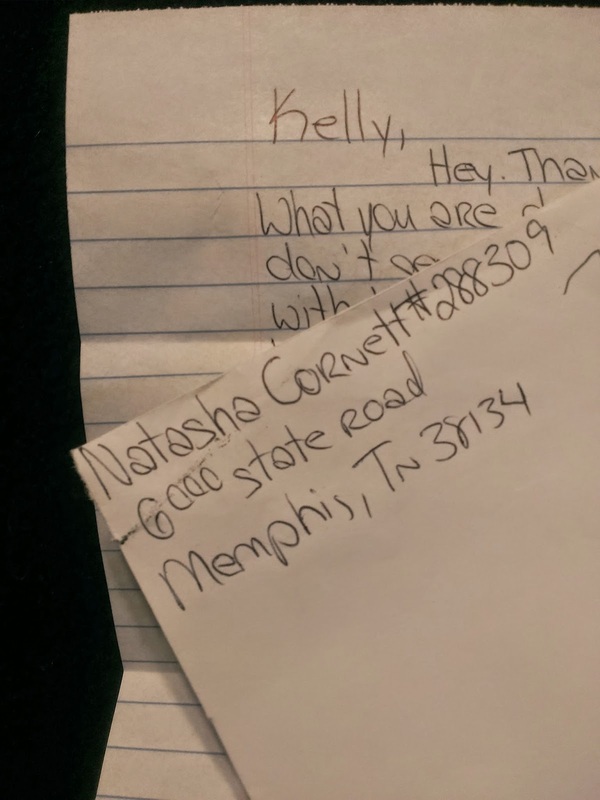 I recently received a letter from Natasha Cornett. She is serving three life sentences and then some for the 1997 murders of the Lillilid family in Tennessee. Natasha and five other kids who considered themselves Satanists kidnapped the family from a roadside rest stop and transported them to a deserted road where they shot and killed the mother, father and daughter. Natasha was the self proclaimed head of her group of friends in Pikeville, Kentucky. They were outcast kids who had been in and kicked back out of the system several times over. Natasha herself had been diagnosed with a mental disorder and deemed dangerous but released from the hospital for lack of insurance. Her case is actually held up to professionals, as an example of what can go wrong when the government drops the ball. Each year of her life she got progressively worse and so many people could have stopped her along the way. Natasha is what is termed a 'throw-away girl". She was born into poverty and violence as a child of an affair and never knew another type of life really existed. She was diagnosed bi-polar with anorexia and anxiety and began self-mutilating and using drugs and alcohol while in junior high school. She dropped out in her freshman year and was married to a long-time friend, Steven Cornett, a short time later. At the time of the murders of Tabitha, Vidar and Delfina Lillelid and the shooting of their son, Peter, Natasha was 18. The group of troubled youths took the families van and fled to Mexico. They were apprehended at the border. Natasha took a plea deal even though evidence and her testimony deny she was the shooter. She avoided the death penalty by doing so, but received three life sentences plus a number of years. According to reports from her mother, she serves as a mentor inside prison to encourage other girls to get their G.E.D. as she has. In her letter she says that she often feels invisible. "The only thing people see is this media fabricated version of me." She offers to help with the death row women projects as well as contribute artwork, etc. I am curious to see how she lives her life in the shadow of the crimes she's committed. Natasha is nothing like the media makes her out to be. I was her roommate in prison for over a year and very close friend to her the 6 years I was there. you were a friend of Natasha? it is true what they say about her or she is a good person?